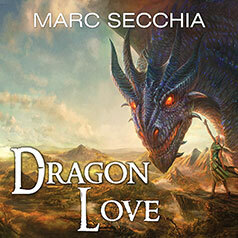 Bestselling author Marc Secchia presents the sequel to his fantasy novel Dragonfriend. Six years have passed since Hualiama and Grandion defied the Island-World's most sacred law. They burned the heavens together as rider and dragon. For his crime, Grandion the Tourmaline dragon suffered exile and imprisonment. The dragons forced Hualiama to forget her past.